Cute Butterfly Coloring Page. 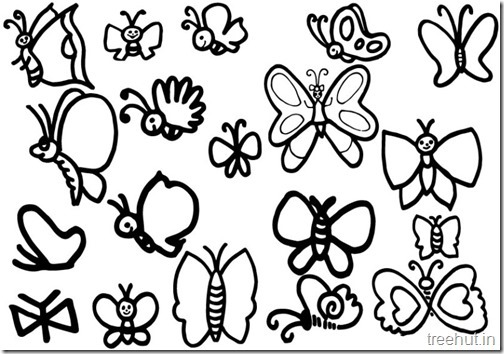 This Sheet may also be used by kids to draw a variety of Butterflies. Thumb Printing Ideas, butterflies, fishes and flowers.